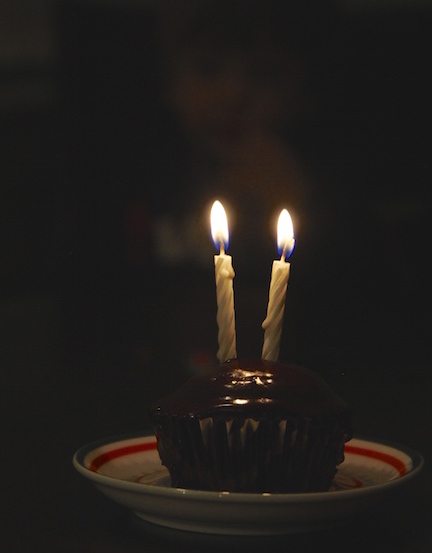 Hey, Lady Grey: "Two Candles"
My little baby is two years old today! All week long, we've been asking Zac, "how old are you going to be on your birthday?" and he always responds "two candles!" (referring to his highly anticipated birthday cake). On the one hand it feels like time has just flown by, but on the other, I realize how much we've changed and grown over the past two years. I've come such a long way from that clueless girl holding a screaming newborn in her arms two years ago on this very day. And my beautiful little baby boy - he's such a boy now! And not wanting to sound so clichéd, but with no other way to say it... he brings us so much joy. Like we don't even know how to contain all the love we feel for this boy. He totally rocks our world! His birthday fell on a work day, so we celebrated in stages. He got to open one present from us in the morning, and a package that came in the mail from his Oma, and then it was off to daycare. After work, we made cake and ate supper together (macaroni was my two year old's birthday meal of choice... which I discreetly spiked with sautéed green pepper and leeks). When I saw this truck on Amazon, I knew Zac would go bananas for it. 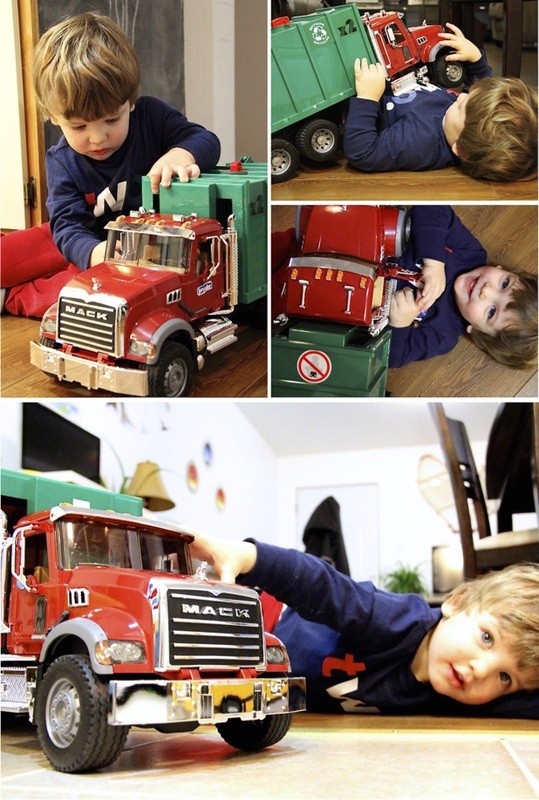 This boy LOVES trucks (and all things that go). And this truck is incredibly realistic looking and has so many little functioning parts and details... it's right up his alley. To say that he loved it would be an understatement. He basically couldn't function normally after... the truck had to come to the bathroom with him for bath time, and into his room to "watch him sleep" at bedtime. We are half-expecting him to crawl out of bed in the middle of the night tonight and start playing with it. And then there was chocolate cake... In retrospect, not the best choice to give your already active toddler right before bed, but hey, it's his birthday. Then a few bedtime books, a brief recount of his birth story, and lots and lots of cuddles. 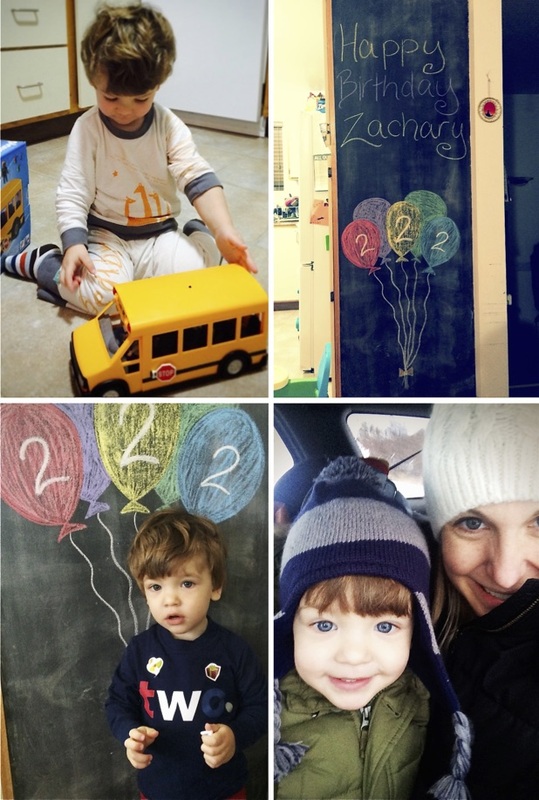 It was a much quieter, more low-key birthday compared to his first one (which we celebrated in Montreal with all our 20+ family members). Although we missed having our family around, there was something nice about being just the three of us, way up in the snowy north, away from the rest of the world. 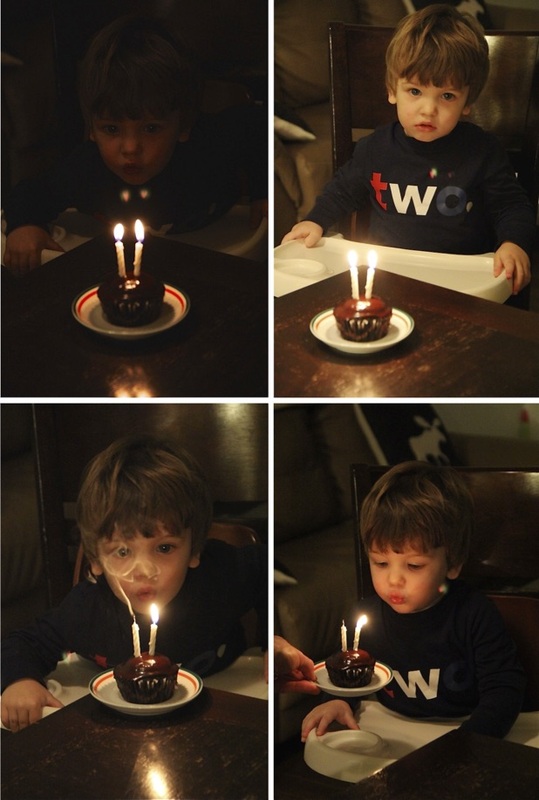 All in all, it was a very successful second birthday. Happy birthday, little buddy. We love you so much! Wow - two years already! So sweet!